Bandai Import Collection proudly brings Banpresto’s newest offer for its incredible Dramatic Showcase collection featuring the everlasting hero of Dragon Ball Z, Goku, as seen in the original ending credits of the Buu Saga series. 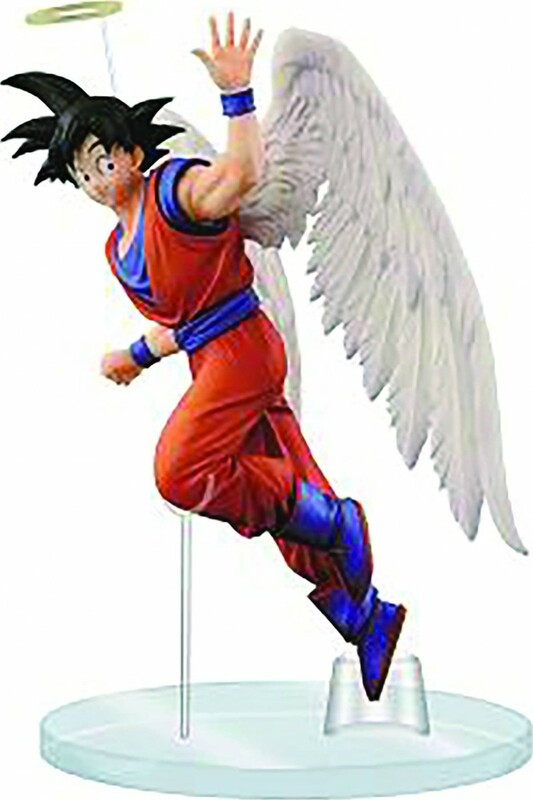 This figure shows Goku in one of the most memorable poses as he waves and dons angel wings and a halo. This moment is captured in a single shot as an older teen Gohan looks up at the sky while is father waves as he looks to be heading to the King Kai’s Other world planet. The figure stands 6 1/4” tall. Minor assembly required.